Happy Friday everyone!! How was your week and what will you be doing on weekend? My mother-in-law had her birthday this week so we are going to her place on Sunday. And tomorrow I have an appointment with my hairdresser. That’s kind of a big deal, because I haven’t been there for a while and I am think of changing my haircut :D. So I will report how did that go. But today I have a swatch for you. 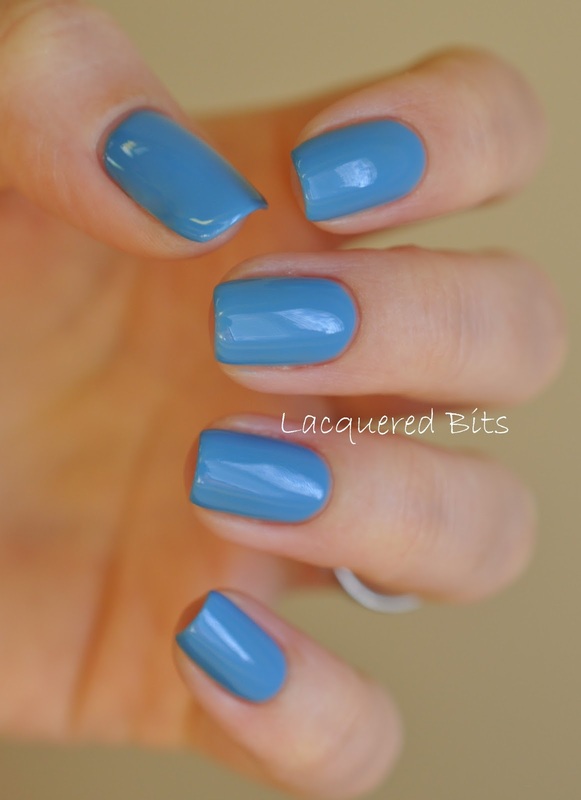 A swatch of Essie – Lapiz Of Luxury. Here it is. It had a watery consistency, if you know what I mean. But it was so easy to apply. There was no streaking, just two easy coats for full opacity. It was a member of their Resort Collection from 2010 and is a part of their permanent collection now. Moreover it has a jelly finish, which is not totally creme and I love it for that. I like polishes with that kind of finish a lot and Essie has so many of them.